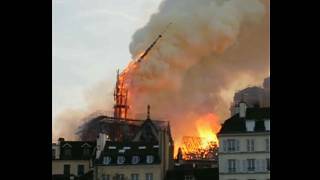 It comes after officials said Monday's inferno was 15 to 30 minutes away from being destroying the iconic cathedral. That was the claim of Laurent Nunez, France's deputy interior minister. 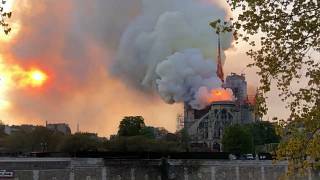 He praised firefighters who he said "risked their own lives" to salvage the 850-year-old landmark's structure and two belfries. Emergency services will now spend the next 48 hours carrying out a security and safety assessment of the building. 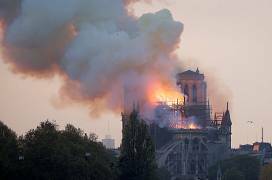 But more than 400 firefighters managed to extinguish the flames and preserve the stone structure of the 12-century cathedral. 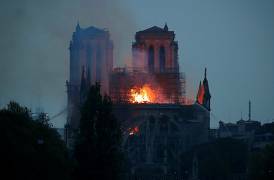 "The entire fire is out. 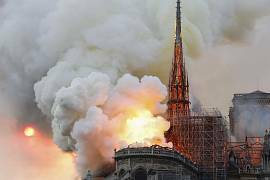 We've now entered the expertise phase," said Gabriel Plus, the spokesman for the Paris fire brigade, adding that the "violent fire" had "spread very quickly over the entire roof" on "about 1,000 square metres". 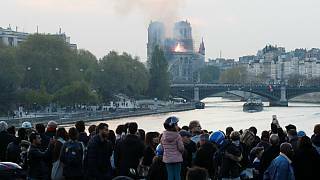 "We are favouring the theory of an accident," Paris public prosecutor Remy Heitz said, adding that more than 50 people were involved in the investigation. 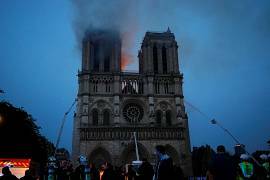 He said police would begin questioning the workers involved in the restoration on Tuesday. 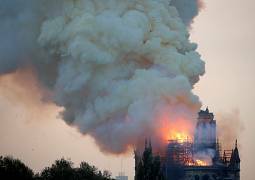 Smoke could be seen billowing out from the top of the medieval cathedral as flames leapt out beside its two bell towers on Monday night. 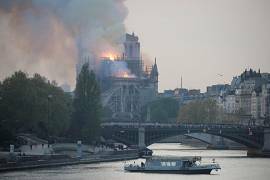 But even though the entirety of the fire has been extinguished, authorities are not certain whether the cathedral's structure will resist, said French junior interior Minister Laurent Nunez. 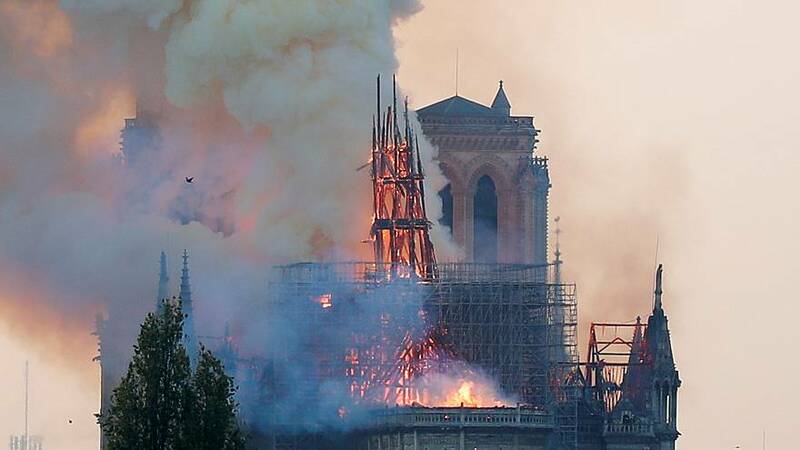 A group of 16 copper statues escaped the blaze as they were removed from the cathedral's roof on April 11 for restoration work, as part of a €6 million renovation project. 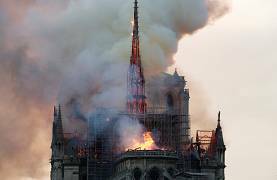 However, the newly elected president of the Bishops' Conference of France, Eric de Moulins-Beaufort said that restoring the iconic building would take "years of work". 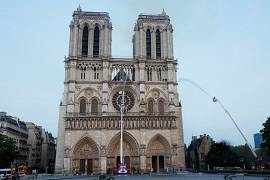 A French heritage organisation, Fondation du Patrimoine, tweeted that they would launch a "national collection" for the reconstruction of the cathedral. 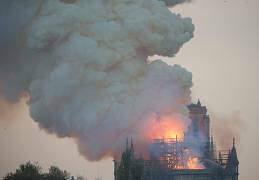 One of the richest French families, the Pinault family, pledged €100 million for Notre-Dame and French billionaire businessman Bernard Arnault's family and his LVMH luxury goods group will donate €200 million for repairs. 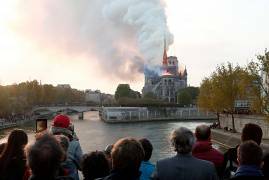 Paris' mayor Anne Hidalgo has proposed to hot an "international conference for donors" to coordinate the pledges to restore the cathedral. 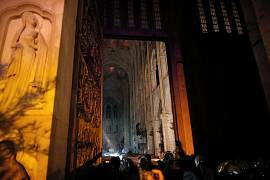 More than €750 million in donations has now been pledged towards the restoration of the cathedral. 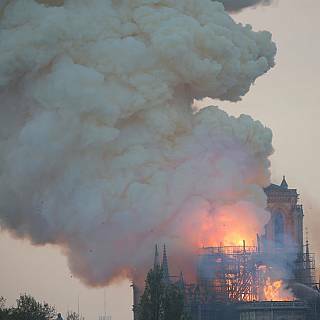 The Vatican's culture minister said the Vatican was willing to offer technical restoration know-how from its museums to help rebuild Notre Dame. 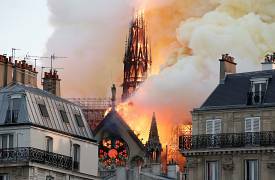 Nicolas Marang, 47, a consultant and a Paris resident for 27 years who witnessed and took a video of Notre Dame's spire falling, told Euronews the blaze was "an absolute nightmare". "I keep thinking about, all the culture. It is so delicate and now it's all gone. 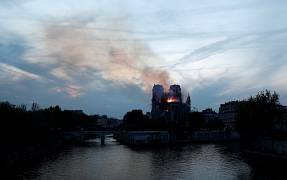 It's all burned," he said. "People started taking pictures. Some people were crying. It was like being knocked out," he added. 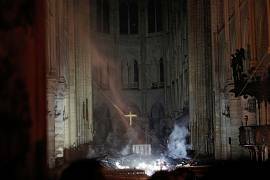 A centuries-old crown of thorns made from reeds and gold, as well as the tunic worn by Saint Louis, a 13th-century king of France (Louis IX), were saved, Notre-Dame's top administrative cleric, Monsignor Patrick Chauvet said. 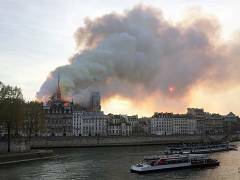 French President Emmanuel Macron cancelled a planned 8 pm CEST address to the nation on the "Gilets Jaunes" (yellow vests) movement due to the "terrible fire", said an official at the president's Elysee office.